“Moral Injury” was popularized in the in the mid-1990s, by Jonathan Shay who was working with veterans suffering from psychological trauma. In his book, “Achilles in Vietnam”, Dr. Shay describes the moral injury as a result of being ordered to do something in a high-stakes situation that violates an individual’s moral beliefs. Soldiers are often ordered to carry out immoral acts such as killing enemy soldiers, tossing grenades into houses, burning down villages and are told to do so regardless of age, innocence, or loss of life. These atrocities become hard memories that many veterans cannot shake. Due to the fact that many symptoms overlap, many may believe that “Moral Injury” is the same disorder as those with PTSD or traumatic brain injuries. Yet, there are differences. The biggest distinguishing factor of “Moral Injury” is the persistent sense of guilt, shame, and ethical “drift” where veterans no longer have a clear sense of right or wrong. In treating veterans with moral injuries, clinicians tend to focus on addressing the symptoms and often advocate for the patient to forgive his or her self. 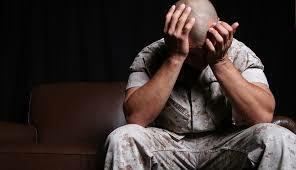 But forgiveness may not be the key to help veterans heal. Soldiers often describe the traumatic events connected with moral injury in terms of split loyalties or of having to make the impossible decision of betraying one ideal for another. Betrayals like these are not easily fixed. In order to help those who suffer from moral injury, the focus should shift from forgiveness to creative deeds of atonement (volunteering, being a good parent, etc.). Recovery from moral injury begins with identifying the causes and communities that were sacrificed in the heat of battle and finding creative ways to re-establish loyalty to those causes. Once establishing a path forward from the irrevocable that haunt them, veterans can better overcome the hidden problem of Moral injuries.